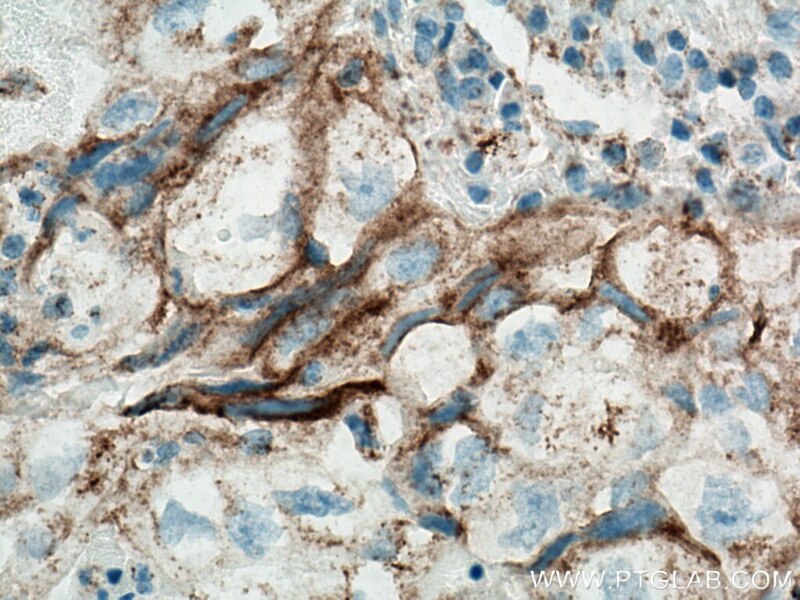 Immunohistochemical analysis of paraffin-embedded human tonsillitis tissue slide using 66248-1-Ig (PD-L1/CD274 antibody) at dilution of 1:1000 (under 10x lens) heat mediated antigen retrieved with Tris-EDTA buffer(pH9). 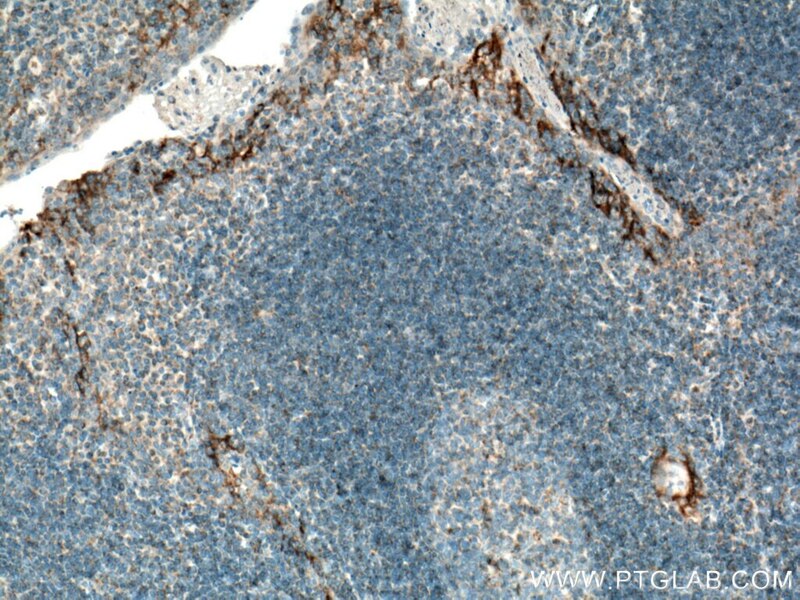 Immunohistochemical analysis of paraffin-embedded human tonsillitis tissue slide using 66248-1-Ig (PD-L1/CD274 antibody) at dilution of 1:1000 (under 40x lens) heat mediated antigen retrieved with Tris-EDTA buffer(pH9). 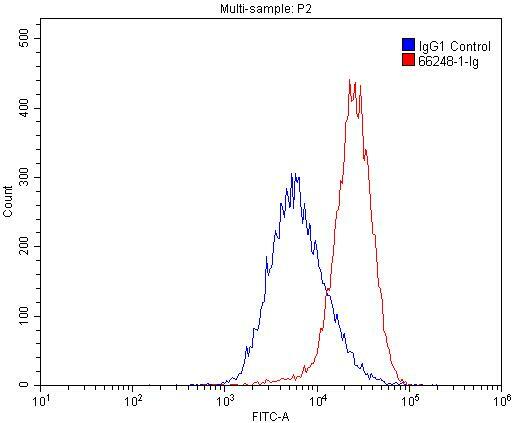 1X10^6 Raji cells were stained with 0.2ug PD-L1/CD274 antibody (66248-1-Ig, red) and control antibody (blue). Fixed with 4% PFA blocked with 3% BSA (30 min). Alexa Fluor 488-conjugated AffiniPure Goat Anti-Mouse IgG(H+L) with dilution 1:1500. Programmed cell death ligand 1(CD274, or B7-H1, PD-L1), is the first member of B7 family to be discovered. B7 family molecules are type I transmembrane proteins belonging to the immunoglobulin superfamily. In concert with their CD28 family receptors, the B7s are key regulators of the adaptive immune response. CD274 is suggested a negative regulator of T and B cell, and play important role in mediating tolerance of lymphocytes to self-antigens. It also involved in the costimulatory signal, essential for T-cell proliferation and production of IL10 and IFNG, in an IL2-dependent and a PDCD1-independent manner. 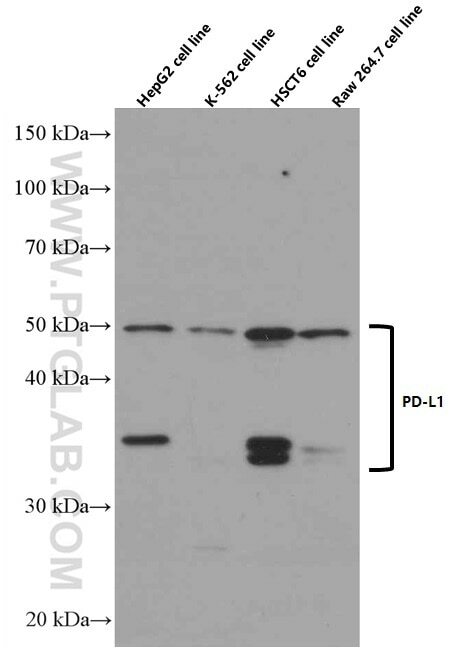 PD-L1 is a 290 aa transmembrane protein with a calculated molecular weight of 33 kDa, it is predicted to be 27-30 kDa after signal peptide cleavage, as has been shown by several researches (PMID: 25609200; 17076679). The apparent molecular weight has also been reported as 45-70 kDa, major glycosylated form of 45-50 kDa and multiple post-translational modifications form of 65-70 kDa (PMID: 18760278; 16493058). Programmed death-ligand 1 expression associated with molecular characteristics in surgically resected lung adenocarcinoma. Efficacy of short-term nivolumab treatment in a Chinese patient with relapsed advanced-stage lung squamous cell carcinoma: A case report. Programmed death-1 ligand 1 and 2 expression in cutaneous squamous cell carcinoma and their relationship with tumor- infiltrating dendritic cells. Association Between Programmed Death Ligand 1 Expression in Patients With Basal Cell Carcinomas and the Number of Treatment Modalities. Positive Expression of Programmed Death Ligand 1 in Peritumoral Liver Tissue is Associated with Poor Survival after Curative Resection of Hepatocellular Carcinoma. 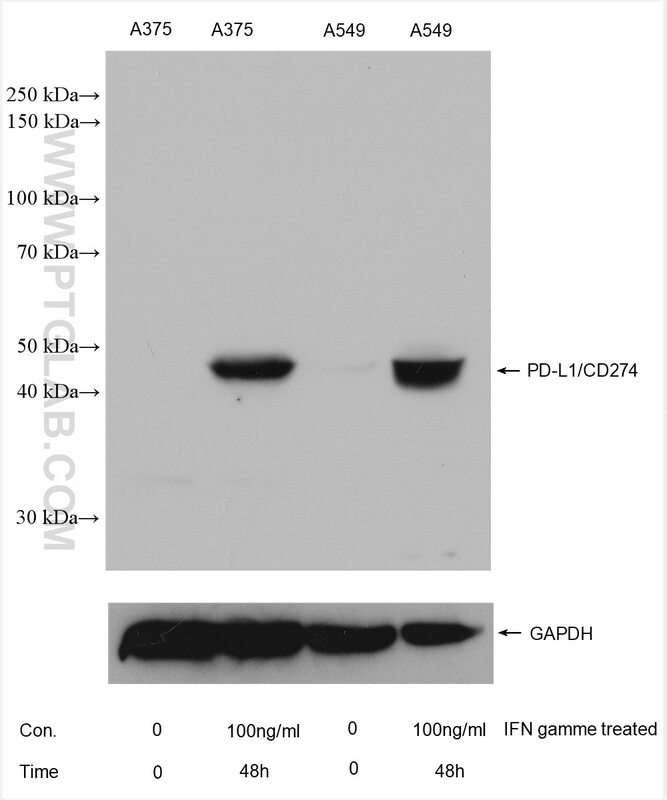 Association of PD-L1 and HIF-1α Coexpression with Poor Prognosis in Hepatocellular Carcinoma. 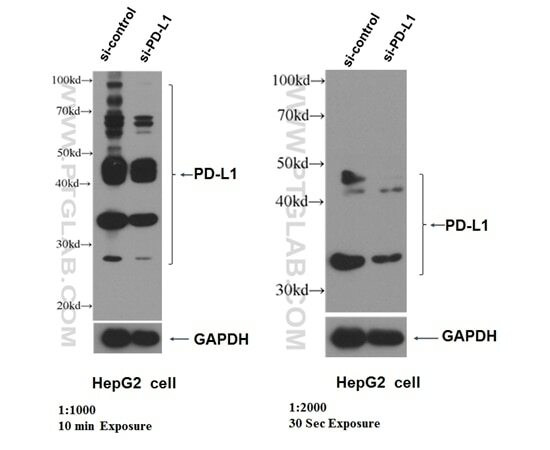 WB result of PD-L1 antibody (66248-1-Ig, 1:1000 and 1:2000) with si-Control and si-PDL1 transfected HepG2 cells. 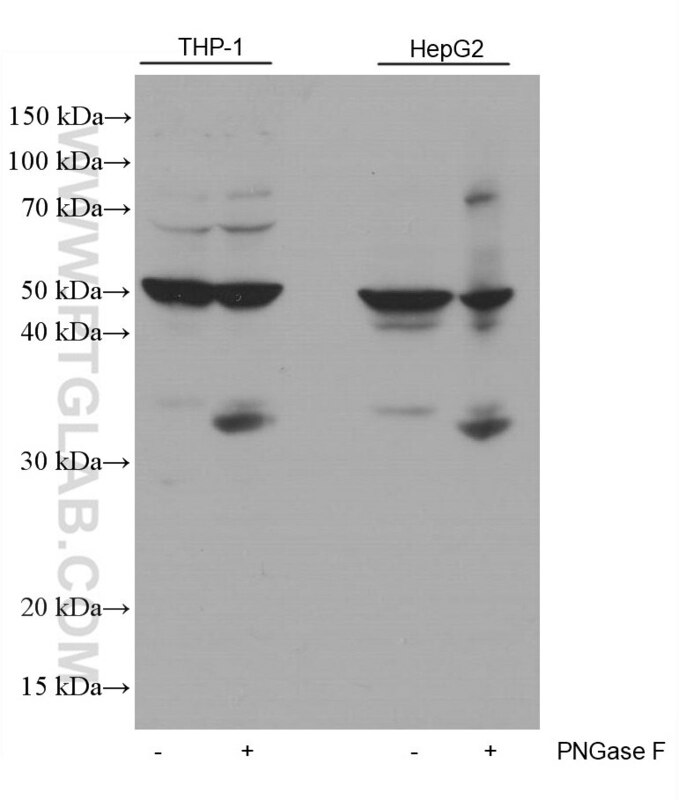 Untreated and PNGase F-treated lysates of THP-1 cells and HepG2 cells were subjected to SDS PAGE followed by western blot with 66248-1-Ig (PD-L1/CD274 antibody) at dilution of 1:5000 incubated at room temperature for 1.5 hours. PNGase F was obtained from Atagenix (cat.NO. ata808). 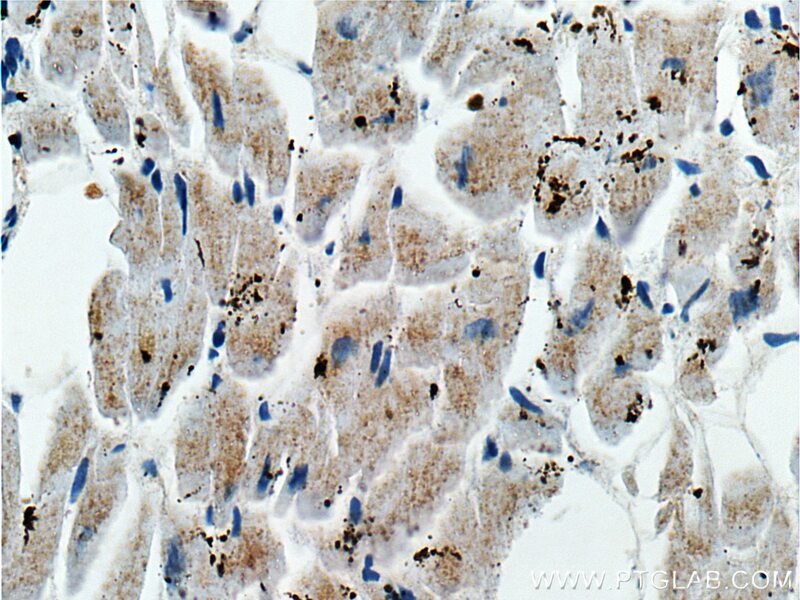 Immunohistochemical analysis of paraffin-embedded human heart tissue slide using 66248-1-Ig( PD-L1/CD274 Antibody) at dilution of 1:500 (under 10x lens). 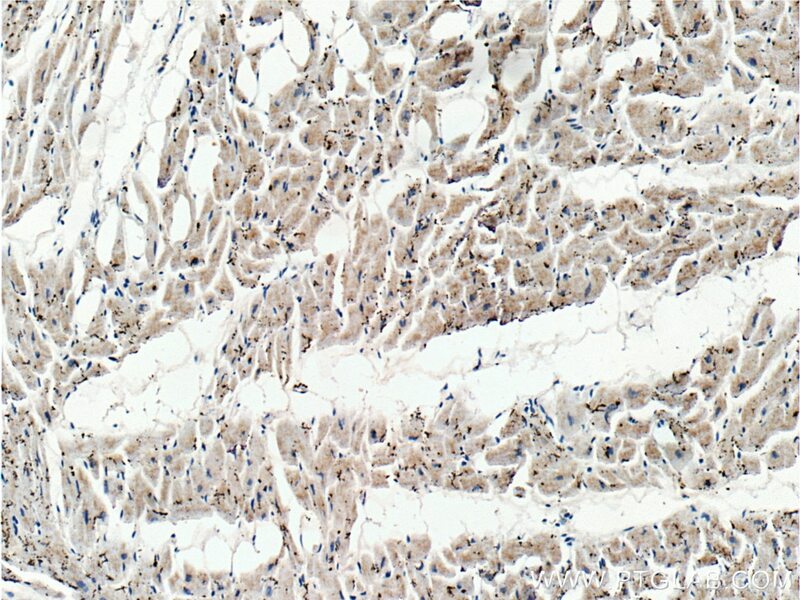 Immunohistochemical analysis of paraffin-embedded human heart tissue slide using 66248-1-Ig( PD-L1/CD274 Antibody) at dilution of 1:500 (under 40x lens). 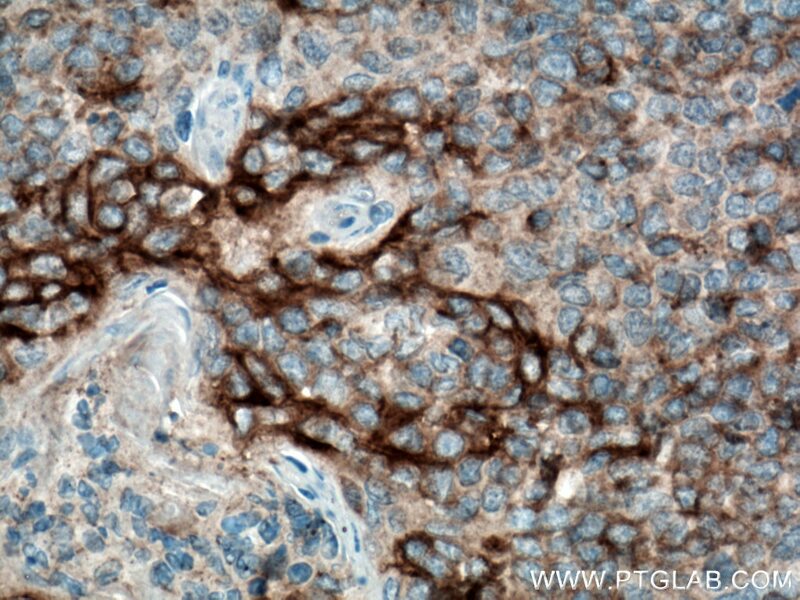 Immunohistochemical analysis of paraffin-embedded human lung cancer tissue slide using 66248-1-Ig( PD-L1/CD274 Antibody) at dilution of 1:1000 (under 10x lens). heat mediated antigen retrieved with Sodium Citrate buffer (pH6). 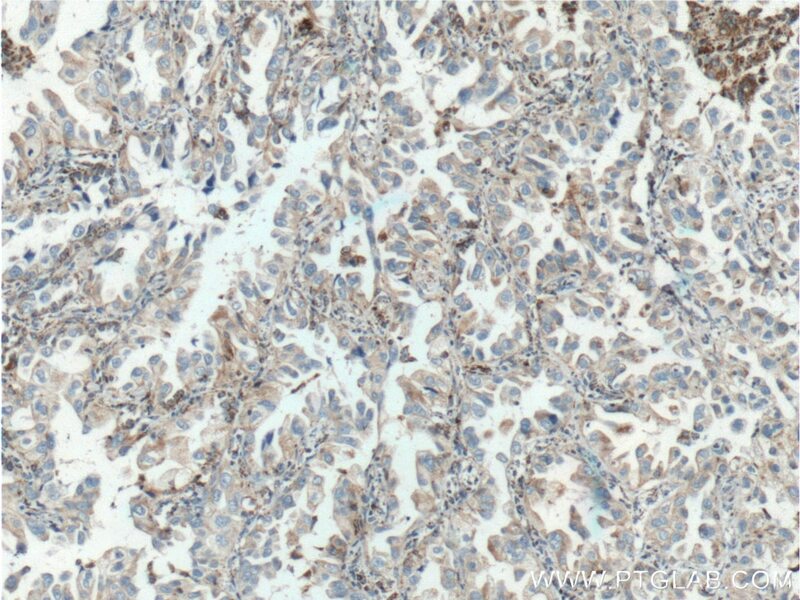 Immunohistochemical analysis of paraffin-embedded human lung cancer tissue slide using 66248-1-Ig( PD-L1/CD274 Antibody) at dilution of 1:1000 (under 40x lens). heat mediated antigen retrieved with Sodium Citrate buffer (pH6). 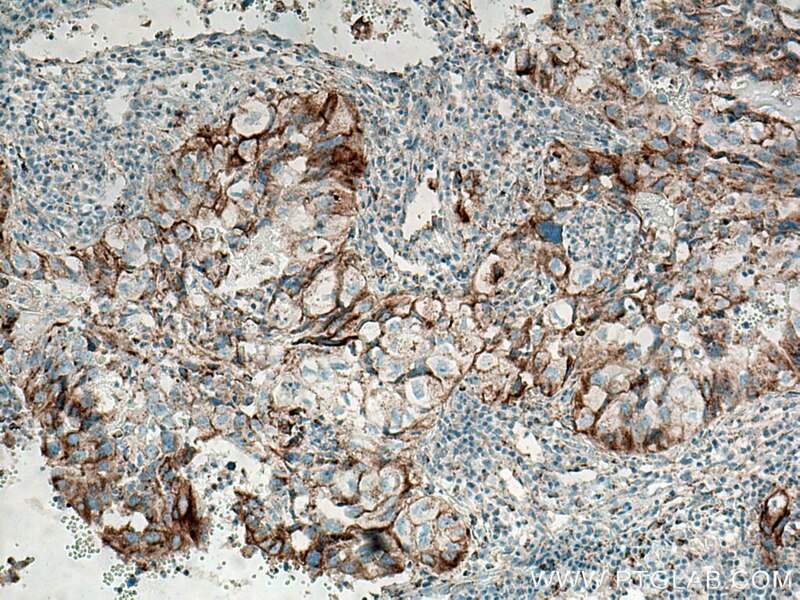 Immunohistochemical analysis of paraffin-embedded human lung cancer tissue slide using 66248-1-Ig (PD-L1/CD274 antibody) at dilution of 1:20000 (under 10x lens) heat mediated antigen retrieved with Tris-EDTA buffer(pH9). 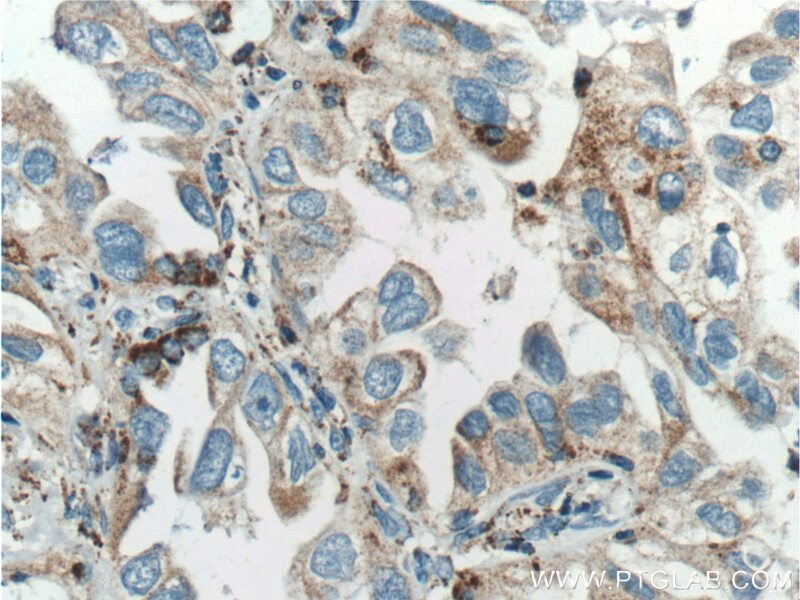 Immunohistochemical analysis of paraffin-embedded human lung cancer tissue slide using 66248-1-Ig (PD-L1/CD274 antibody) at dilution of 1:20000 (under 40x lens) heat mediated antigen retrieved with Tris-EDTA buffer(pH9). 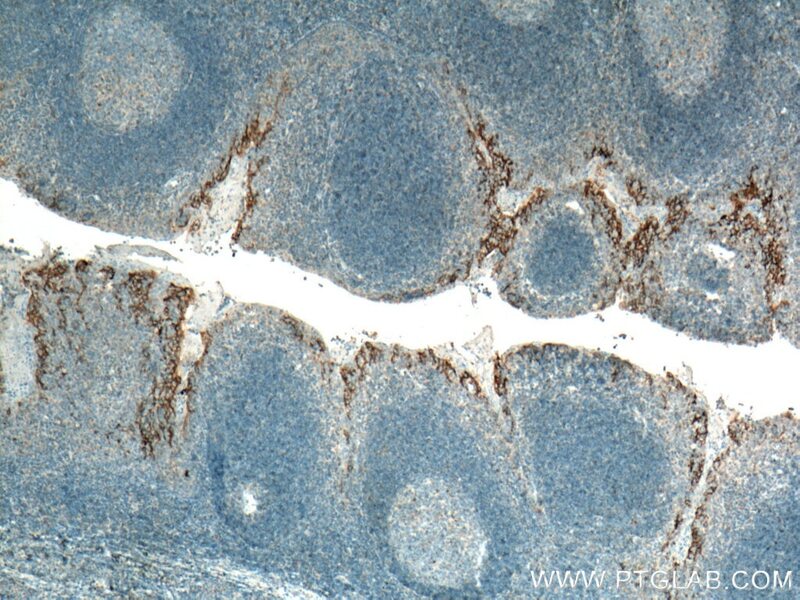 Immunohistochemical analysis of paraffin-embedded human tonsillitis tissue slide using 66248-1-Ig (PD-L1/CD274 antibody) at dilution of 1:10000 (under 4x lens) heat mediated antigen retrieved with Tris-EDTA buffer(pH9). 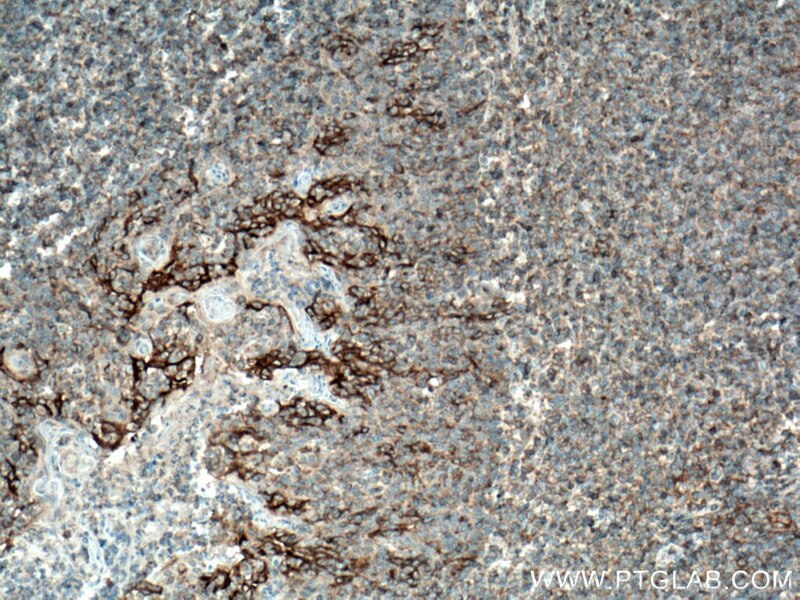 Immunohistochemical analysis of paraffin-embedded human tonsillitis tissue slide using 66248-1-Ig (PD-L1/CD274 antibody) at dilution of 1:10000 (under 10x lens) heat mediated antigen retrieved with Tris-EDTA buffer(pH9). 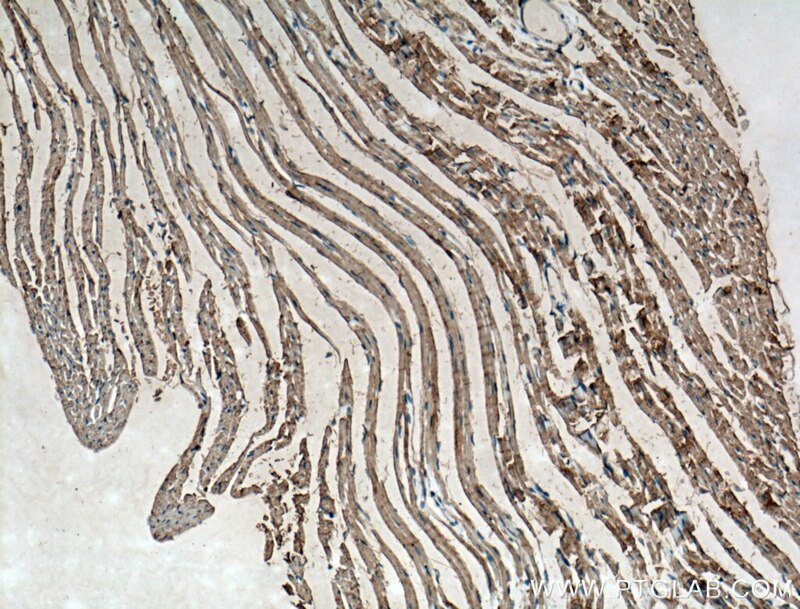 Immunohistochemical analysis of paraffin-embedded mouse heart tissue slide using 66248-1-Ig( PD-L1/CD274 antibody) at dilution of 1:500 (under 10x lens) heat mediated antigen retrieved with Tris-EDTA buffer(pH9). 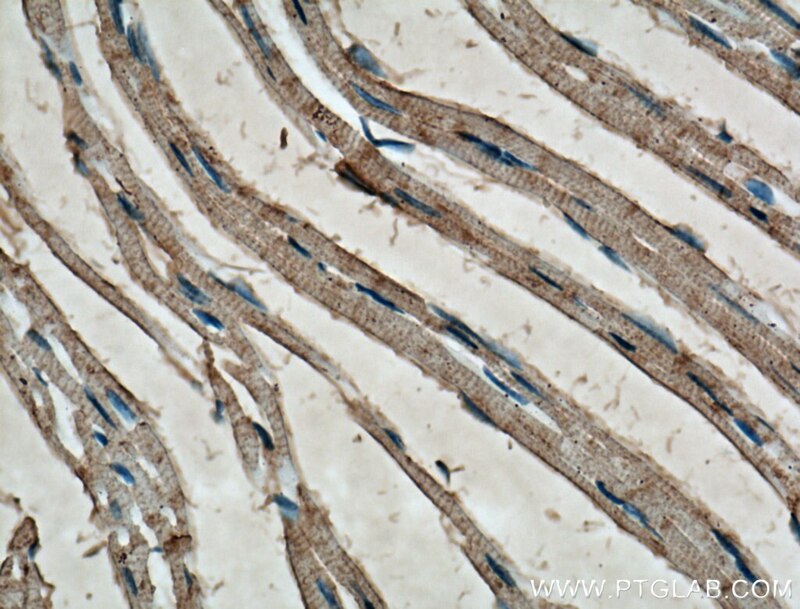 Immunohistochemical analysis of paraffin-embedded mouse heart tissue slide using 66248-1-Ig( PD-L1/CD274 antibody) at dilution of 1:500 (under 40x lens) heat mediated antigen retrieved with Tris-EDTA buffer(pH9).